Bookings under the Big Sale scheme - valid for travel from May 7, 2018 to January 31, 2019 - are open till November 19, 2017, according to AirAsia India. AirAsia India is offering discounts on domestic flight tickets under a limted-period promotional scheme. AirAsia India is offering a starting base fare of Rs. 99 under the scheme, called Big Sale, according to its website - airasia.com. The Big Sale offer requires flyers to make advance bookings, the AirAsia website added. AirAsia's Big Sale offer is valid on bookings for travel from May 7, 2018 to January 31, 2019. Bookings under the Big Sale scheme are open till November 19, 2017, according to the AirAsia website. AirAsia's Rs 99 fare excludes taxes and other charges, it noted. 1. 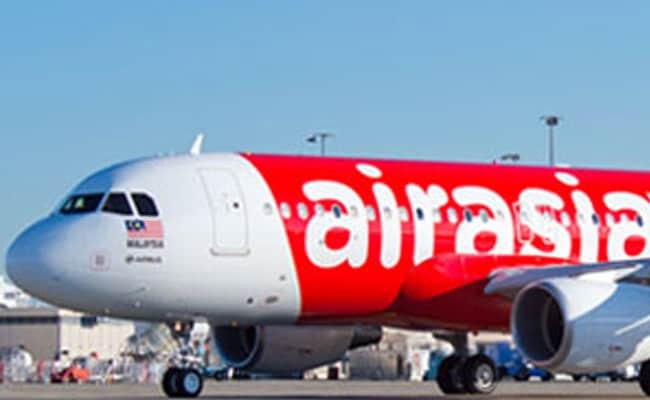 The fares offered under the Big Sale scheme are quoted for single journey (one-way) only and only available for online bookings at the airline's website - www.airasia.com, according to AirAsia. 2. AirAsia India is offering all-inclusive fares starting at Rs. 403 under the Big Sale offer. A search on the AirAsia bookings portal on Thursday showed tickets for flights from Bhubaneswar to Ranchi on May 29, 2018 were available for booking at Rs 403. The ticket price of Rs. 403 included fares of Rs. 99, a surcharge of Rs. 52 and GST (Goods and Services Tax) of Rs. 8, according to the airline's website. Some other starting all-inclusive prices included flights from Ranchi to Bhubaneswar at Rs.466; from Bhubaneswar to Kolkata at Rs. 507; from Ranchi to Kolkata at Rs. 571, and from Kochi to Bengaluru at Rs. 764. 3. Without divulging the number of seats offered under the Big Sale offer, AirAsia said: "Seats are limited and may not be available on all flights." 4. The fare includes airport taxes (except for selected airports where airport tax is collected at the point of departure), AirAsia said. "A non-refundable processing fee is applicable for payments via credit, debit or charge card," AirAsia said. "All taxes must be paid at the time of purchase unless otherwise stated," AirAsia said. "Full payment shall be made upon booking," it added. Change of flight dates will be chargeable, it noted. 5. "No refunds are permitted after payment has been made," AirAsia further said on its portal.